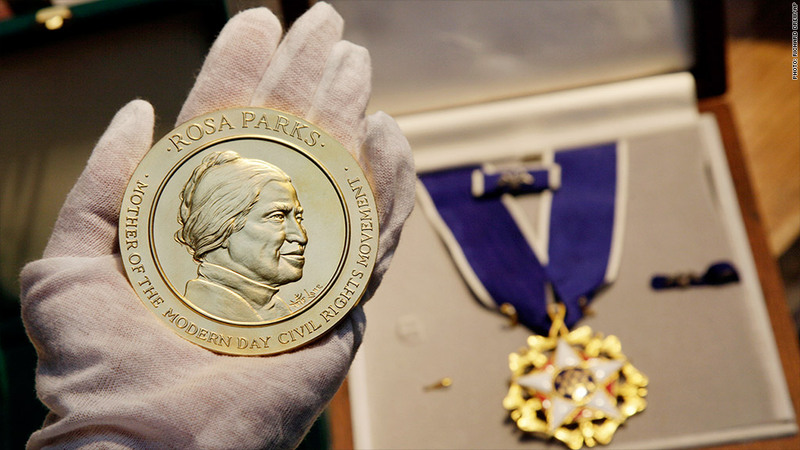 The Congressional Gold Medal (left) and Presidential Medal of Freedom (right) are among the items left by Rosa Parks, who died in 2005. Howard Buffett, the youngest son of the billionaire investor, said he was thinking of his mother when he paid $4.5 million for a trove of historic belongings left by civil rights activist Rosa Parks. 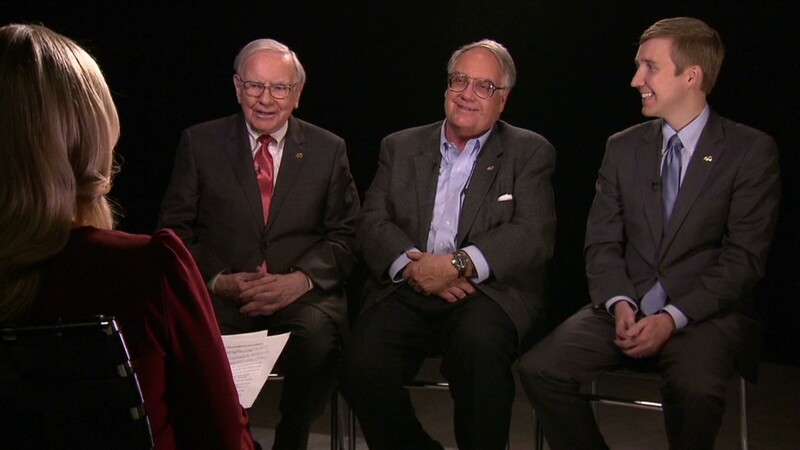 "I knew that my mom would think that it was something that should get done," Buffett told CNNMoney. Howard Buffett wanted the Parks collection to be publicly accessible. Buffett's mother, Susan, died in 2004 after 52 years of marriage to Warren Buffett, the CEO of Berkshire Hathaway (BRKA). Howard Buffett's charitable foundation closed a deal to purchase the Parks material on August 19. The items have been in storage, caught up in a years-long legal fight and then put up for auction. The cache includes Parks' Presidential Medal of Freedom and Congressional Gold Medal, as well as letters, photos and other artifacts. Parks, who died in 2005, became a civil rights icon when she refused to give up her seat on a bus to a white man in Montgomery, Alabama, in 1955. Her arrest triggered a 381-day boycott organized by the Rev. Martin Luther King Jr.
Howard Buffett, who is a philanthropist, said he was drawn by the cache's historic importance and became involved after seeing a TV news report it. "This is an incredible part of history, and to have that history locked in a chamber somewhere is not right," Buffett said. Buffett runs the Howard G. Buffett Foundation, which works in the developing world to improve agriculture and clean water delivery. He said the Parks material would be turned over to an institution that would ensure its availability to historians and others. "It has to be somewhere the public has access to it," Buffett said.